A cochlear implant is an implanted electronic device that provides hearing to adults and children with severe to profound deafness. 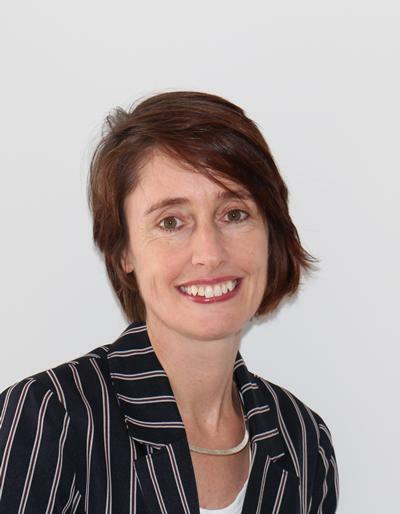 Helen Cullington is a clinician and researcher working at the University of Southampton Auditory Implant Service. She has more than 25 years’ experience in cochlear implants, having worked on several cochlear implant programmes within the United Kingdom and the United States, including House Ear Institute in Los Angeles. Helen’s remote care work allows people with cochlear implants to manage their care at home using the new CHOICE webapp. 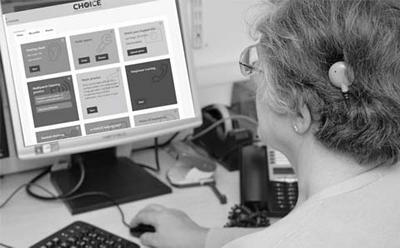 With CHOICE, patients can check their hearing, practise listening in background noise, practise using the phone and listening to music, upload a photo of their implant site, order spare parts, and receive advice related to their cochlear implant. 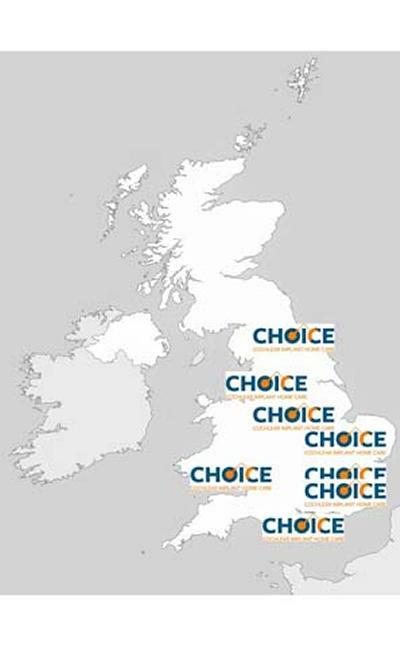 We are now offering CHOICE in 8 UK cochlear implant centres. Following the success of a Randomised Controlled Trial (BMJ Journals), Helen is now scaling up her innovative remote care pathway to 8 UK cochlear implant centres, supported by a £0.5 million grant from The Health Foundation. This project is exploring different ways of providing long term follow up to cochlear implant users. What benefit do people with hearing loss get from using two devices, one in each ear? Cullington, H. (2018). CHOICE: Cochlear Home Care. National Cochlear Implant Users Association Newsletter. Cullington, H. (2017). Cochlear implant care: putting patients in charge. National Cochlear Implant Users Association Newsletter. Cullington, H. (2017). Cochlear implant care: putting patients in charge. ENT and Audiology News. Cullington, H. (2017). Telemedicine for adults with cochlear implants in the UK. University of Southampton Auditory Implant Service Newsletter, Winter. Cullington, H. (2017). UK - University of Southampton Auditory Implant Service - Scaling up programme. European Association of Cochlear Implant Users (EURO-CIU) newsletter. Hey, M., Böhnke, B., Dillier, N., Hoppe, U., Eskilsson, G., Löwgren, K., ... Müller-Deile, J. (2015). The Intra-Cochlear Impedance-Matrix (IIM) test for the Nucleus® cochlear implant. Biomedical Engineering / Biomedizinische Technik, 60(2), 123-133. Mulhern, L., & Cullington, H. (2014). Does acoustic fundamental frequency information enhance cochlear implant performance? Cochlear Implants International, 15(2), 101-108. Holmes, H., Rowan, D., & Cullington, H. E. (2013). Speech perception in different masker types: how can differences between children and adults be interpreted? International Journal of Audiology, 52(4), 265-266. Cullington, H., Bele, D., Brinton, J., & Lutman, M. E. (Accepted/In press). United Kingdom national paediatric bilateral audit: preliminary results. Cochlear Implants International. Cullington, H. E., & Zeng, F. G. (2010). Comparison of bimodal and bilateral cochlear implant users. Cochlear Implants International, 11(Supp 1), 67-74. Cullington, H. F. (2001). Light eye colour linked to deafness after meningitis. BMJ, 322(7282), 587-587. Cullington, H. (2001). Tinnitus evoked by finger movement: Brain plasticity after peripheral deafferentation. Neurology, 56, 978-978. Cullington, H. E. (2000). Preliminary neural response telemetry results. British Journal of Audiology, 34(3), 131-140. Cullington, H. E. (1999). Acoustic artefacts in click-evoked otoacoustic emissions. British Journal of Audiology, 33(1), 73. Cullington, H. E. (Ed.) (2002). Cochlear implants: objective measures. Philadelphia, US: Wiley-Blackwell. Cullington, H. E., & Battmer, R-D. (2002). Introduction to cochlear implant objective measures. In H. E. Cullington (Ed. ), Cochlear Implants: Objective Measures (pp. 1-22). London, GB: Wiley. Cullington, H. E., Kitterick, P., Margol-Gromada, M., Riggs, C., Finch, T., & Weal, M. (2018). Scaling up telemedicine for adults with cochlear implants - are you ready? British Cochlear Implant Group Annual Meeting. Paper presented at British Cochlear Implant Group Conference, Belfast, United Kingdom. Cullington, H. E. (2018). Use of the digit triplet test in the home environment. Paper presented at Science & Research Seminar on Connected Health, Berlin, Germany. Cullington, H. E. (2018). What your patients need you to know about hearing implants. Paper presented at BACO International 2018, Manchester, United Kingdom. Cullington, H. (2017). Cochlear implant care: putting clients in charge. Paper presented at The Third International Meeting on Internet & Audiology, Louisville, United States. Cullington, H. E. (2017). Cochlear implant care: putting patients in charge. Paper presented at British Society of Audiology Annual Conference, Harrogate, United Kingdom. Cullington, H. E. (2017). Cochlear implant care: putting patients in charge. Paper presented at National Cochlear Implant Users Association Summer Meeting and AGM, . Cullington, H. E. (2017). Cochlear implant care: putting patients in charge. Training staff and patients for telemedicine. Paper presented at 21st IFOS ENT World Congress, Paris, France. Cullington, H. E. (2017). Cochlear implant telemedicine - what next?. Paper presented at Cochlear Academic Symposium, Edinburgh, United Kingdom. Cullington, H. E. (2017). Oticon Medical & eHealth Discussion. Cullington, H., Kitterick, P., DeBold, L., & Weal, M. (2017). Personalised long-term follow-up of people with cochlear implants using remote care. Paper presented at British Cochlear Implant Group Conference, Birmingham, United Kingdom. Cullington, H. E. (2016). A randomised controlled trial of remote care for adults using cochlear implants (guest speaker). Paper presented at The Ear Foundation virtual conference. 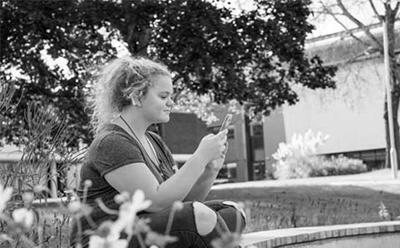 How is telehealth changing the support we provide for deaf people?, . Cullington, H. E. (2016). An introduction to the concept of CI patient self-management using telemedicine. Paper presented at 10th International Conference in Cholesteatoma and Ear Surgery, Edinburgh, United Kingdom. Kitterick, P., Fackrell, K., & Cullington, H. (2016). Measuring empowerment in adult cochlear implant users: the development of the CI-EMP questionnaire. Poster session presented at British Cochlear Implant Group Conference, London, United Kingdom. Cullington, H. E., & Messer, E. . U. (2016). Personalised remote care of people with cochlear implants. Paper presented at Innovating for Improvement - Round 1 Showcase & Round 4 Launch Event, . Samra, B. S. S., Cullington, H., & Boyle, P. (2016). Pilot Study- Evaluation of StereoZoom in bilateral AB Naida CI Q90 users. Poster session presented at British Cochlear Implant Group Conference, London, United Kingdom. Cullington, H., Kitterick, P., DeBold, L., Weal, M., Clarke, N., Newberry, E., & Aubert, L. (2016). Randomised controlled trial of remote care for adults with cochlear implants. Paper presented at British Cochlear Implant Group Conference, London, United Kingdom. Cullington, H. E. (2016). Shaping our future together. Paper presented at British Cochlear Implant Group Annual Conference, . Cullington, H. E. (2015). “Have cochlear implant; won’t have to travel”: future remote care models (invited speaker). Paper presented at ‘The Future of Auditory Implants’ Scientific Conference, Southampton, United Kingdom. Cullington, H. E. (2015). Do children really need rehabilitation? Round table on innovation and assessment. Paper presented at 12th European Symposium Pediatric Cochlear Implant, Toulouse, France. Cullington, H. E. (2015). Have cochlear implant; won’t have to travel. Paper presented at The Second International Meeting on Internet & Audiology, Snekkersten, Denmark. Cullington, H. E. (2015). Have cochlear implant; won’t have to travel (invited speaker). Paper presented at Implantable Devices 2015: The State of the Art, United Kingdom. Cullington, H. E. (2015). Have cochlear implant; won't have to travel. Paper presented at National Cochlear Implant Users Association Annual Meeting, . Rowan, D., Holmes, H., & Cullington, H. E. (2015). Listening to speech in a background of speech is harder for children than adults, why?. Paper presented at Arab Hearing Health Conference, Amman, Jordan. Cullington, H. E., Edwards, J., Murphy, S., & Banerjee, A. (2015). Outcome measures of electroacoustic hearing – a questionnaire to evaluate bimodal satisfaction. Poster session presented at 15th British Academic Conference in Otolaryngology, United Kingdom. Cullington, H. E. (2015). Personalised long-term follow-up of cochlear implant patients using remote care. Poster session presented at 12th European Symposium Pediatric Cochlear Implant, Toulouse, France. Cullington, H. E. (2015). Personalised long-term follow-up of cochlear implant patients using remote care. Paper presented at British Cochlear Implant Group Annual Meeting, United Kingdom. Cullington, H. E. (2015). Personalised long-term follow-up of cochlear implant patients using remote care (guest speaker). Paper presented at Fourth Annual Oticon Medical Scientific Meeting, Copenhagen, Denmark. Cullington, H. E. (2015). Remote care for cochlear implant users (invited speaker). Paper presented at Adult Deafness 2015: Bending the Spend, London, United Kingdom. Cullington, H. E., Bele, D., Brinton, J. C., Cooper, S., Daft, M., Harding, J., ... Wilson, K. (2015). United Kingdom national paediatric bilateral project. Paper presented at 12th European Symposium Pediatric Cochlear Implant, Toulouse, France. Rowan, D., Holmes, H., Blythe, H., Godwin, H., Liversedge, S., & Cullington, H. E. (2014). 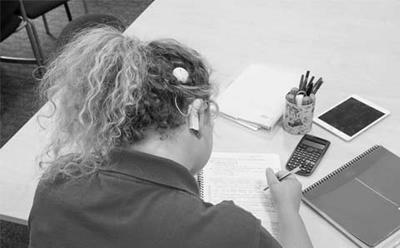 Interference by background sounds with speech intelligibility and reading. Paper presented at 7th International Conference of the Royal Medical Services, Madaba, Jordan. Hey, M., Böhnke, B., Dillier, N., Hoppe, U., Eskilsson, G., Löwgren, K., ... Müller-Deile, J. (2014). Intracochlear impedance matrix test for the nucleus cochlear implant. Poster session presented at 13th International Conference on Cochlear Implants and Other Implantable Auditory Technologies, Germany. Edwards, J., Cullington, H. E., & Banerjee, A. (2014). Outcome measures of electroacoustic hearing: a questionnaire to evaluate bimodal benefit. Poster session presented at 13th International Conference on Cochlear Implants and Other Implantable Auditory Technologies, Germany. Cullington, H. E. (2013). Bilateral implants in children in the UK (invited speaker). Paper presented at Implantable Devices 2013: The State of the Art, . Alothman, N., Rowan, D., & Cullington, H. (2013). Co-ordinated bilateral cochlear implants: psychoacoustical and self-reported outcomes. Paper presented at Fourth Joint Annual Conference, Experimental and Clinical Short Papers Meetings of the British Society of Audiology, United Kingdom. Lee, E., Cullington, H. E., & Bell, S. (2013). PAMR: a tool to measure hearing thresholds in cochlear implant users. Poster session presented at British Academy of Audiology Annual Conference, United Kingdom. Alothman, N., Rowan, D., & Cullington, H. E. (2013). Psychoacoustical and self-reported outcomes of a coordinated bilateral cochlear implant system in adult users. Poster session presented at Conference on Implantable Auditory Prostheses, United States. Alothman, N., Rowan, D., & Cullington, H. E. (2013). Spatial hearing in a synchronized bilateral cochlear implant system. Poster session presented at British Cochlear Implant Group Annual Meeting, United Kingdom. Cullington, H. E. (2013). What do our service users really want?. Poster session presented at British Cochlear Implant Group Annual Meeting, United Kingdom. Cullington, H. E. (2012). 7 times more patients in 7 years...how will we cope? (invited guest speaker). Paper presented at Cochlear Implant Group Conference, India. Cullington, H. E. (2012). National paediatric bilateral audit. Paper presented at British Cochlear Implant Group Annual Meeting, Manchester, United Kingdom. Cullington, H. E. (2012). Paediatric cochlear implants...younger, smaller, smarter (invited guest speaker). Paper presented at Cochlear Implant Group Conference, India. Alothman, N., Rowan, D., & Cullington, H. E. (2012). Reference data for the multi-centre study of a synchronised bilateral cochlear implant system. Poster session presented at 3rd Annual Conference and Experimental and Clinical Short Papers Meeting, Nottingham, United Kingdom. Holmes, H., Rowan, D., & Cullington, H. E. (2012). Speech perception in different masker types: how can differences between children and adults be interpreted?. 3rd Annual Conference and Experimental and Clinical Short Papers Meeting, Nottingham, United Kingdom. Cullington, H. E., Bele, D., Brinton, J. C., & Lutman, M. E. (2012). The United Kingdom National Paediatric Bilateral Audit. Bilateral implantation "successes and challenges" (invited speaker). Paper presented at Bilateral Implantation “Successes and challenges”, Amsterdam, Netherlands. Cullington, H. E. (2011). 7 times more patients in 7 years...how will we cope? (Also chaired and organized round table discussion). Paper presented at 10th European Symposium on Paediatric Cochlear Implantation, Athens, Greece. Cullington, H. E. (2011). Comparison between bimodal and bilateral CI (also on round table panel). Paper presented at 10th European Symposium on Paediatric Cochlear Implantation, Athens, Greece. Cullington, H. E. (2011). Managing patients with insulation damage: are we testing too much?. Paper presented at 10th European Symposium on Paediatric Cochlear Implantation, Athens, Greece. Cullington, H. E., & Bele, D. (2011). National paediatric bilateral audit. Paper presented at British Cochlear Implant Group Annual Meeting, United Kingdom. Bele, D., Cullington, H. E., Brinton, J., & Lutman, M. E. (2011). United Kingdom National Paediatric Bilateral Cochlear Implant Audit. Poster session presented at 13th Symposium on Cochlear Implant in Children, United States. Cullington, H. E., & Bele, D. (2010). National paediatric bilateral audit. Paper presented at British Cochlear Implant Group Annual Meeting, United Kingdom. Cullington, H. E. (2010). Paediatric cochlear implants: younger, smaller, smarter (invited guest speaker). Paper presented at Deafness Research UK Recent Advances in Paediatric Audiology Meeting, London, United Kingdom. Cullington, H. (2009). Bilateral cochlear implants (invited speaker): Cochlear Academy. Paper presented at Bilateral Cochlear Implantation Training Event, Mechelen, Belgium. Cullington, H. (2009). Comparison of bimodal and bilateral cochlear implant users (Oral Presentation). Paper presented at 9th European Symposium on Paediatric Cochlear Implantation, Warsaw, Poland. Mulhern, L., & Cullington, H. E. (2009). Does acoustic fundamental frequency information enhance cochlear implant performance? (Poster). Poster session presented at British Society of Audiology Short Papers Meeting on Experimental Studies of Hearing and Deafness, Southampton, United Kingdom. Cullington, H. E. (2007). Combining acoustic and electric stimulation to attack the cocktail party problem. Paper presented at International Symposium on Auditory and Audiological Research, Denmark. Cullington, H. E. (2006). Is two always better than one? comparing bilateral implants with one implant plus contralateral hearing aid. Paper presented at 17th Annual Audiology Videoconference, United States. Cullington, H. E., & Zeng, F-G. (2006). Two’s company, three’s a crowd: speech recognition with competing talkers: normally-hearing, cochlear implant and CI simulation subjects. Poster session presented at American Auditory Society Annual Meeting, United States. Cullington, H. E., Chang, J. E., Zeng, F-G., Bai, J. Y., & Marsala, M. (2005). Lows are the new highs: improving speech intelligibility with unintelligible low frequency sounds. Poster session presented at Conference on Implantable Auditory Prostheses, United States. Cullington, H. E., & Goubeaux, J. (2004). Is 4 too old for a cochlear implant?. Poster session presented at 8th International Cochlear Implant Conference, United States. Cullington, H. E. (2003). HiRes for children: results from 23 children programmed with the new HiResolution™ fitting system for the CLARION® CII Bionic Ear™. Poster session presented at 9th Symposium Cochlear Implants in Children, United States. Cullington, H. E., & Cafarelli Dees, D. (2002). Comparison of NRT thresholds with psychophysical measurements at different stimulation rates. Poster session presented at 7th International Cochlear Implant Conference, United Kingdom. Cullington, H. E. (2002). Light eye color linked to deafness after meningitis. Poster session presented at 7th International Cochlear Implant Conference, United Kingdom. Morsnowski, A., Muller-Deile, J., Cullington, H. E., Conway, M., Dillier, N., Lai, W. K., ... Von Wallenberg, E. (2000). Effect of electrically evoked compound action potentials amplitude growth on site selection. Paper presented at 5th European Symposium on Paediatric Cochlear Implantation, Antwerp, Belgium. Cullington, H., Conway, M., & Craddock, L. (2000). Evaluation of the potential of neural response telemetry to predict optimum sites of stimulation within the cochlear. Paper presented at 6th International Cochlear Implant Conference, Miami Beach, United States. Eyles, J., Brinton, J., Wood, E. J., & Cullington, H. E. (2000). South of England Cochlear Implant Centre paediatric outcomes 1992 – 2000. Eyles, J. A., Brinton, J. C., Wood, E. J., & Cullington, H. E. (2000). South of England Cochlear Implant Centre paediatric outcomes 1992-2000. p.112. Paper presented at Proceedings of the 5th European Symposium on Paediatric Cochlear Implantation, Antwerp, Belgium. Conway, M., Craddock, L., & Cullington, H. E. (1999). NRT Custom Sound Study: UK results. Cullington, H. E. (1999). Objective measures in cochlear implantation (invited guest lecture). Brinton, J., & Cullington, H. E. (1999). Outcomes following cochlear implantation of a deaf blind patient with mitochondrial cytopathy. Paper presented at British Cochlear Implant Group Academic Meeting, York, United Kingdom. Butts, S. L., Hodges, A. V., Cullington, H. E., Dolan-Ash, S., & Balkany, T. J. (1998). Changes in stimulation level over time in Nucleus 22 cochlear implant users. Butts, S. L., Cullington, H. E., Hodges, A. V., Dolan-Ash, S., & Balkany, T. J. (1998). Changing concepts in cochlear implant candidacy. Cullington, H. E., Hodges, A. V., Butts, S. L., Ash, S., & Balkany, T. J. (1998). Comparison of language ability in children with cochlear implants in oral and total communication educational settings. Cullington, H. E., Hodges, A. V., Butts, S. L., Ash, S., & Balkany, T. J. (1998). The use of middle ear muscle reflexes in post-operative programming of cochlear implants. Cullington, H. E. (1997). Averaged electrode voltages - clinical applications. Cullington, H. E., & Brown, E. J. (1997). Bilateral otoacoustic emissions pass in a baby with Mondini deformity and subsequently confirmed profound bilateral hearing loss. Truy, E., Gallego, S., Collet, L., Burdo, S., Clarke, G. P., Cullington, H. E., ... Cohen Harboun, E. (1997). Correlation between EABR characteristics and performance of patients. Cullington, H. E., Clarke, G. P., Gallego, S., & Berger-Vachon, C. (1997). Surface potential measurements with the Digisonic cochlear implant: in vitro and in vivo results and mathematical modelling. Cullington, H. E., & Taylor, N. A. (1996). Cochlear implant device failure: impact on all involved. Cullington, H. E., & Clarke, G. P. (1996). Evoked responses testing of the Digisonic cochlear implant. Cullington, H. E., & Clarke, G. P. (1996). Integrity testing of cochlear implants in the awake child. Cullington, H. E., & Clarke, G. P. (1995). A simplified method of integrity testing of cochlear implants. Clarke, G. P., Cullington, H., & Hawthorne, M. (1994). A comparison of the MXM Digisonic and Cochlear 22 channel implants in adults. Paper presented at International Cochlear Implant Symposium, Melbourne, Australia. Cullington, H., & Cafarelli Dees, D. (1994). Comparison of two otoacoustic emission systems in the hearing screening of neonates. Mulhern, L., & Cullington, H. E. (1970). The benefit of acoustic fundamental frequency information to enhance cochlear implant performance. Poster session presented at British Academy of Audiology Conference, Liverpool, United Kingdom. Flynn, S. L., Cullington, H. E., Heard, E., & Johnson, S. (2017). Long-term care working group report and recommendations for adults. University of Southampton Auditory Implant Service. Cullington, H. (2015). Review of: Cochlear Implants. Third Edition. Deafness and Education International. Cullington, H. (2000). Review of: Compression for Clinicians. ENT and Audiology News. Cullington, H. (2000). Review of: Genetics, syndromes and communication disorders. BSA News. Cullington, H. (2000). Review: Audiology business and practice management by H. Hosford-Dunn, D.R. Dunn & E. Harford. ENT News, 6(2), 73. Cullington, H. (1999). Review of: Clinical Applications of the Auditory Brainstem Response. ENT and Audiology News, 8(5). Cullington, H. (1999). Review of: Neuroscience of Communication 2nd edition. ENT and Audiology News, 8(3). Cullington, H. (1998). Review of: Otoacoustic emissions. ENT and Audiology News. Cullington, H. (1998). Review of: Speech perception assessment. ENT and Audiology News. Cullington, H. E. (1997). Book review: Cochlear Implant Rehabilitation in Children and Adults by Diane J. Allum. British Society of Audiology News, 21, 13. Cullington, H. (1997). Review of: Central Auditory Processing disorders. ENT and Audiology News. Cullington, H. (1997). Review of: Introduction to sound. ENT and Audiology News. Cullington, H. (1997). Review of: Understanding childhood deafness. ENT and Audiology News. In August 2010 the University of Southampton Auditory Implant Service implanted the first Neurelec binaural cochlear implant in the UK. Although there is only one implant placed behind the ear, there are two electrodes. One electrode goes into the cochlea as usual; the other long electrode is passed over the head (under the skin) and implanted in the other ear. The two electrode arrays are driven by a single speech processor. There was widespread national and local media coverage; The Independent, The Daily Telegraph, The Daily Express, BBC online, the Daily Echo, Wave 105FM, HeartFM and Isle of Wight Radio plus numerous science and medical websites all reported on the operation. Helen was interviewed and featured in The Daily Telegraph, Daily Mail and on the radio for Wave105FM. Watch the video above of a Neurelec user’s own video of hearing for the first time. Helen is supervising a PhD student working on a project to see how well Neurelec users can hear in background noise, and work out where sounds are coming from.